Light Song is the latest track to be taken from Emma Ruth Rundle's new album On Dark Horses, her fourth solo record which was released last Friday. The single features vocals by Evan Patterson of Jaye Jayle. Following on from her first three solo albums - the instrumental Electric Guitar: One, Some Heavy Ocean and Marked For Death - as well as her role in Red Sparrowes and Marriages - there's a cinematic dramatic effect to much of On Dark Horses, no much more so on Light Song. 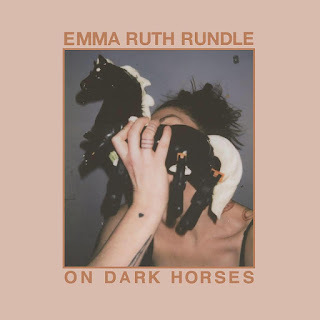 Emma Ruth Rundle's website can be found here which includes details of all her tour dates around the world. She is also on Facebook and Twitter. Her UK dates are Manchester Soup Kitchen (November 3), Bristol Rough Trade (4), Glasgow Stereo (6), Newcastle Cluny (7) and London Oslo (8).